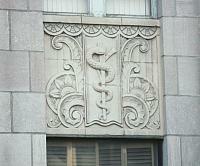 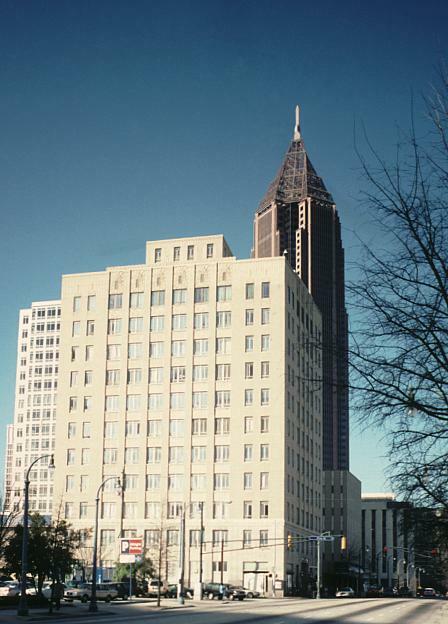 The prominent Atlanta firm Pringle and Smith was founded in 1922 and designed buildings throughout the Southeast. 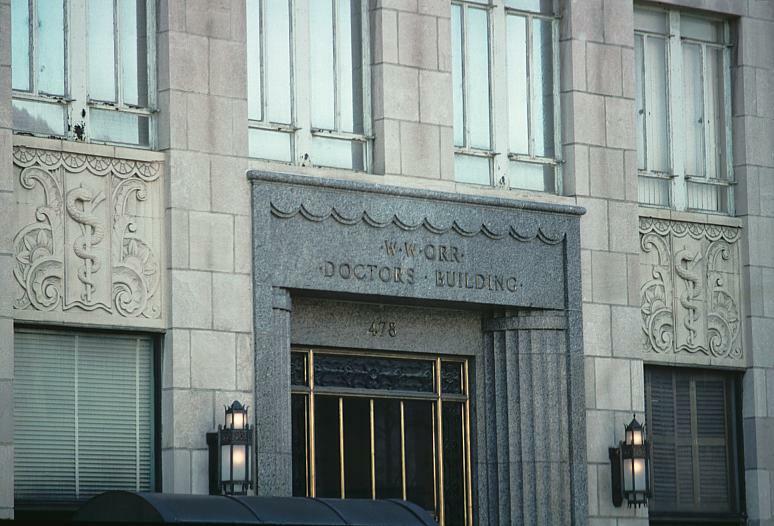 Most of their buildings were traditional or Beaux-Arts in style; however, this building incorporated more "modern" Art Deco elements. 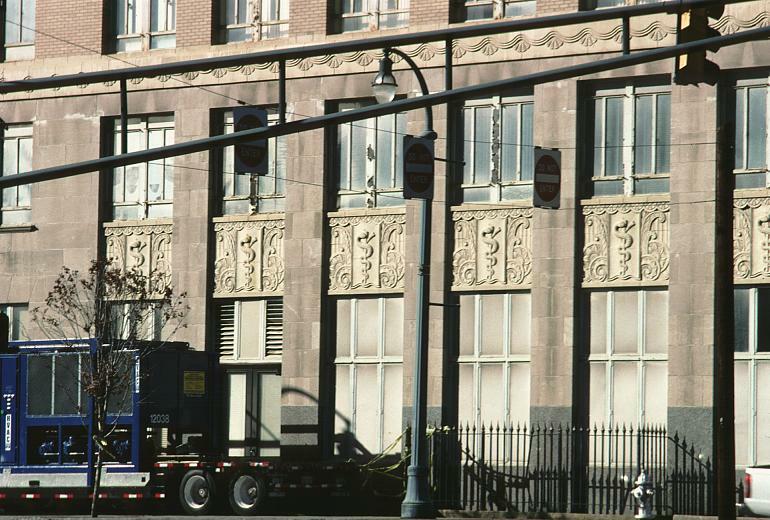 See also the William-Oliver Building. An eleven-story structure, this masonry building has the sense of a tripartite composition with the base in stone and the shaft in brick. 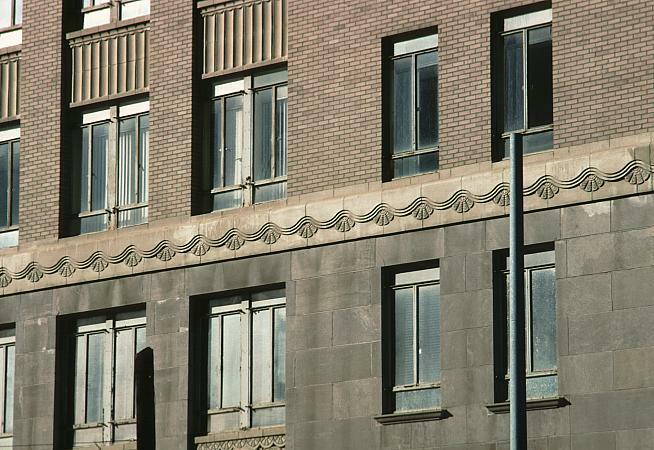 See Index for list of buildings on this site by Pringle and Smith.